This Blueberry Delight Cake with Crumb Topping definitely lives up to its delightful name! It’s chock-a-block full of fresh juicy blueberries that are nestled in a super moist and flavorful cake batter. My mom would have loved this recipe, because it’s right up her alley – easy to prepare with readily available ingredients, beautiful to look at, and super scrumptious. 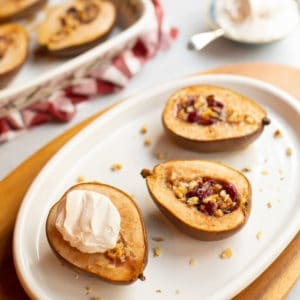 Oh, and very flexible too – I’ve served it both as a dessert as well as a side dish for a brunch. Chances are you’ll have most, if not all, of the ingredients in your pantry and refrigerator, making this a great recipe to have in your repertoire for those last minute gatherings. It’s also great to take to a pot luck, as it’s easy to transport. 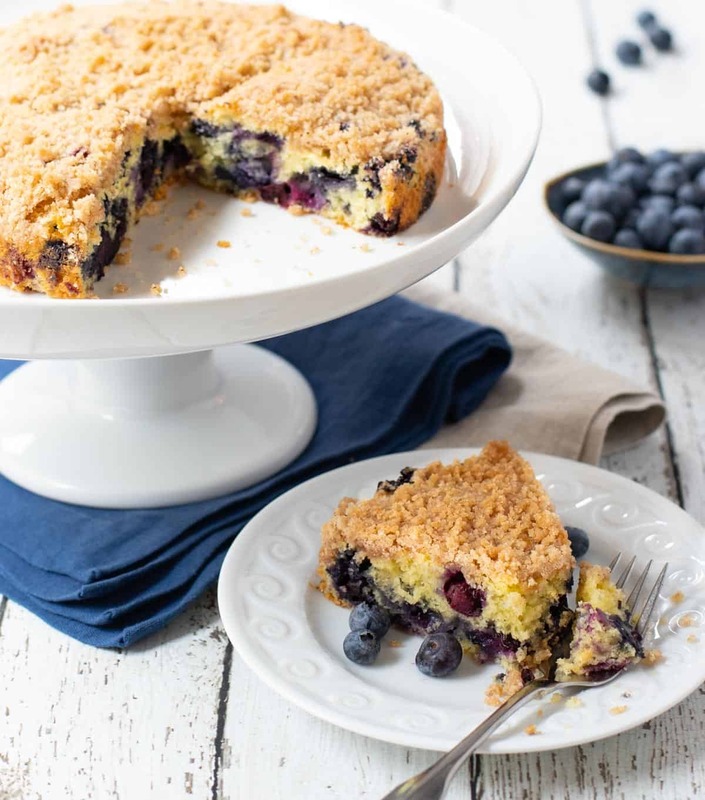 This cake is stuffed full with juicy blueberries – that blend perfectly with the cinnamon and nutmeg in the crumb topping. It has just the right balance of sugar, and a combination of melted butter and milk in the cake batter make it super moist – a requirement in my cakes! In fact, it’s so moist that you can serve it on its own; but it’s also delicious with a scoop of butter pecan ice cream. 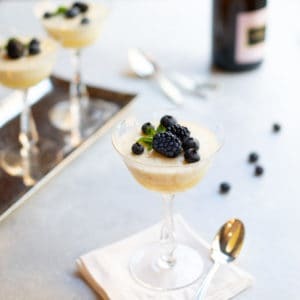 Here’s an idea: add vanilla ice cream and raspberries on the side, and it would be the perfect red, white and blue dish for the Fourth of July! Fresh, juicy blueberries are nestled in a moist cake batter and topped with a cinnamon and nutmeg flavored topping. Preheat oven to 375 degrees. Grease the sides of an 8-inch cake pan and line bottom with a round of parchment paper. In a medium mixing bowl, sift together the 1/3 cup sugar, 1/4 cup flour, cinnamon and nutmeg. Cut in 2 tablespoons butter until the mixture is fine crumbs (it will look sort of like brown sugar). You can cut in the butter using a food processor, a pastry cutter, or two knives. Set aside. In a large mixing bowl, sift together the 1 cup flour, 1/3 cup sugar, baking powder and salt. Set aside. In a small mixing bowl, whisk together the milk, egg and vanilla. Whisk in the cooled melted butter. Stir into flour mixture just until mixed. Stir in the blueberries. (Batter will be thick.) Spread in prepared pan. Sprinkle crumb mixture evenly over the top. Bake for 30 to 35 minutes or until a toothpick inserted in the middle comes out clean. Let cool in pan. Slice and serve. Delicious on its own, or with a scoop of vanilla or butter pecan ice cream. Garnish with additional blueberries, if desired. Make ahead: Cake can be made up to 24 hours ahead, covered and refrigerated. Bring to room temperature before serving.